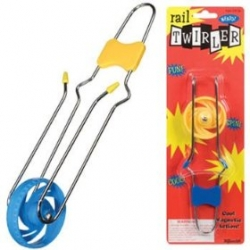 Cool magnetic action makes the 2 inch wheel spin round and round on the 9 inch long metal rail. A fun traditional classic! Assorted colors.